The Sammamish Community YMCA is a public/private partnership with the City of Sammamish. The City owns the building, and the Y operates it. As such, we are directly connected to the community through events at City Hall, the Library, service organizations, the Farmer’s Market and more. Our state of the art, 69000 sq ft facility includes a 6000 sq ft fitness center, and an aquatic center featuring a whirlpool, a 6 lane lap pool, and an activity pool equipped with a two story waterslide, lazy river, and splash feature. We are excited to be pioneering new experiences and helping our members find new ways to come together as a community. 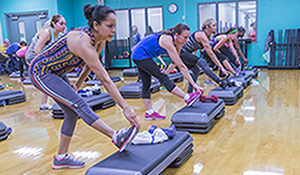 The Sammamish Community YMCA serves the communities of Sammamish, Issaquah, Preston, Redmond, and Fall City. 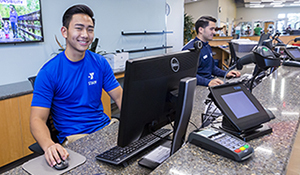 In addition to being the region’s second YMCA operated as a public/private partnership, we are also pioneering new ways to engage our community using online tools and technology—appropriate given our close proximity to the region’s many tech giants. At the Sammamish Community YMCA, our staff make all the difference. Our staff have a strong commitment to serving community. They focus their energy on helping constituents of this community.